Practice begins Friday, January 11, 2019. All practices will be held every Friday until March 22, 2019. To register, call the Health and Wellness desk at 502-238-2727. New to the Gators or not a member of The J? Contact Johnny Kimberlin before signing up at jkimberlin@jewishlouisville.org or 502-238-2742. Jewish Community Center of Louisville’s aquatics programs including the Gators Swim Team can be reached by calling 502-238-2742 or email jkimberlin@jewishlouisville.org. Johnny has been a swimmer since the age of 5. His passion for swimming continues to strengthen as he get more involved in the sport. Currently teaches Psychology and US Government at North Oldham High School and also coaches the swim team at North Oldham. Graduated from the University of Southern Illinois in 2016. Attended DuPont Manual High School in Louisville, KY, from 2008-2012. Kiley swam for the JCC Gators from the age of 5 until the age of 13. Swam for the Louisville Tarpons from age 10 to age 11. Moved to the Lakeside Seahawks, a Gold Medal Swim Club in Louisville, from age 11 to age 17. While there became a USA Swimming State Champion and Sectional Finalist, specializing in sprint freestyle and backstroke. She also swam for DuPont Manual High School and was the team captain for the 2011-2012 season. Kiley is a member of the Girls’ High School State Championship Team in 2009 & 2012, and Combined State Championship Team from 2009 – 2012. In college, she swam on scholarship for Southern Illinois University (SIU), from 2012-2016. SIU won the 2016 Women’s Missouri Valley Swimming Championship (MVC) and was also, a Missouri Valley Scholar Athlete in 2014, 2015 & 2016. Kiley also worked at The J teaching swimming lessons and has helped with stroke clinics for the Lakeside Seahawks. Graduated from Southern Illinois University in May 2018. Graduated from duPont Manual High School in 2014. Will be attending the University of Kentucky starting in the Fall of 2018 to earn her Master’s in Applied Behavior Analysis. Bryn swam for the JCC Gators from age 5 until the age of 11 and for the Lakeside Seahawks from age 9 to 17. While there she became a USA Swimming State Champion, Sectional Champion, and NCSA Junior National Finalist. She also swam for duPont Manual High School and was a member of the 2012 Girls’ High School State Championship Team, an All American, and an Academic All American. She swam on scholarship at Southern Illinois University from 2014-2018. She was a member of the 2016 Missouri Valley Conference Championship Team and won eight Missouri Valley Conference titles during her career. Additionally, she was the 2017 College Swimming Coaches Association of America Open Water National Champion and a USA Swimming Winter National Finalist. She was also a MVC Scholar Athlete from 2015-2018.She has coached the Lakeside Seahawks precompetitive and developmental groups and taught swim lessons for the JCC. Hi guys, I’m Kendall Shook. I am from Boynton Beach, Florida and I have been a swimmer since I was 4 years old. 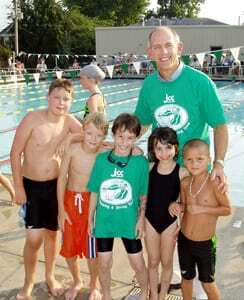 I have been coaching for 5 years and teaching swim lessons for 6 years at the JCC in Florida. I am a 21 year old student at University of Louisville for a major in Special Education. My fun fact is that I am obsessed about mermaids and believe that they are real!